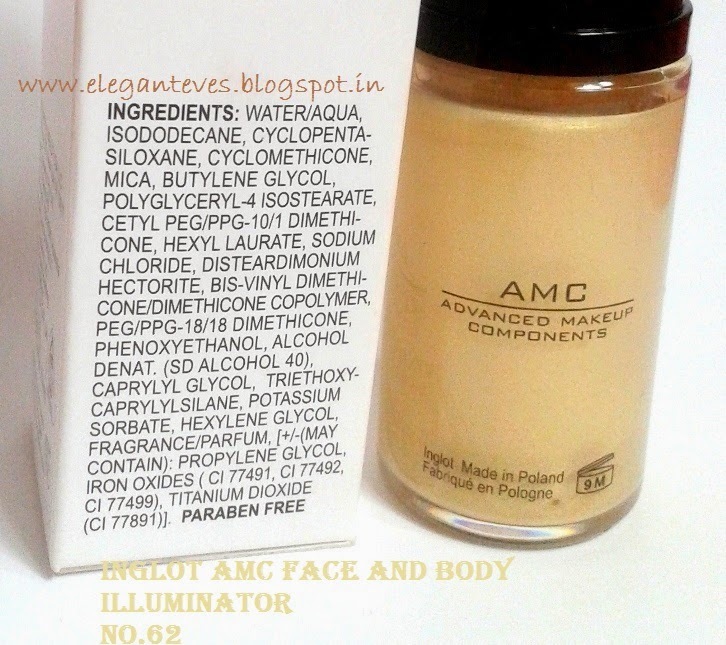 Packaging: It comes encased in a white cardboard box and the illuminator itself is in a transparent bottle with a very good pump. You can control how much quantity of the product you want. 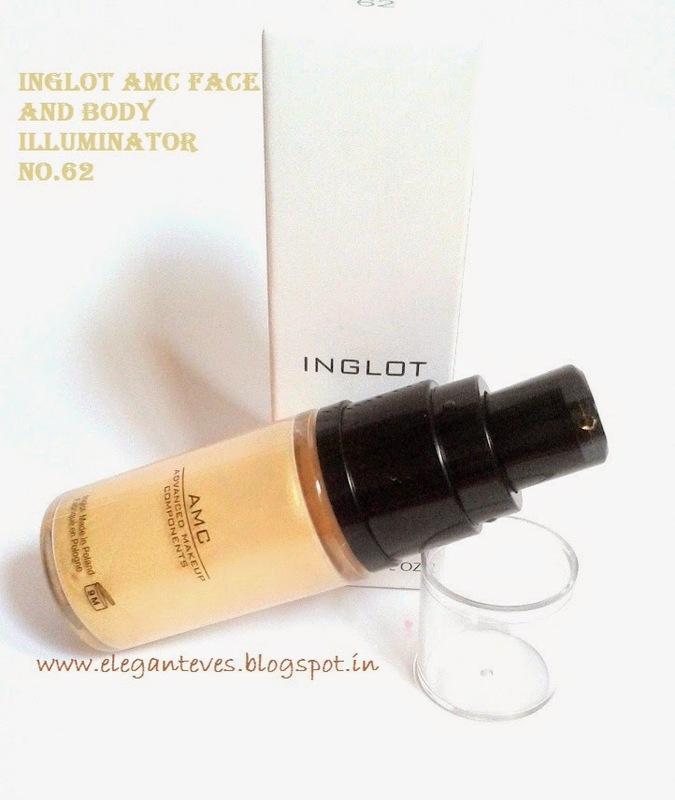 The bottle fits in the palm of the hand and is very convenient to carry in purse too. 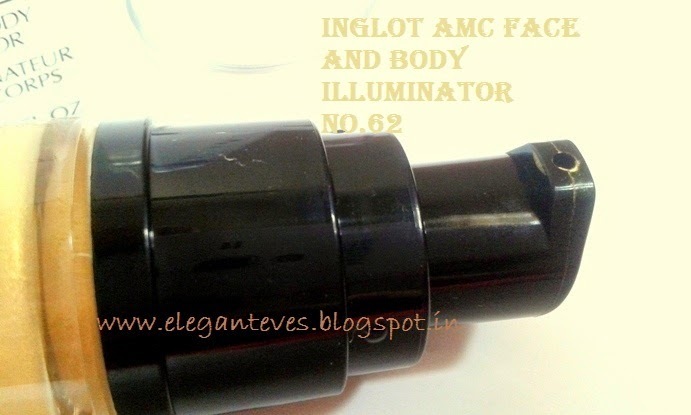 My take: The Inglot AMC Face and Body Illuminators come in a range of colors like bronzes and pinkish highlighters to pale gold shades. Out of all of them, No. 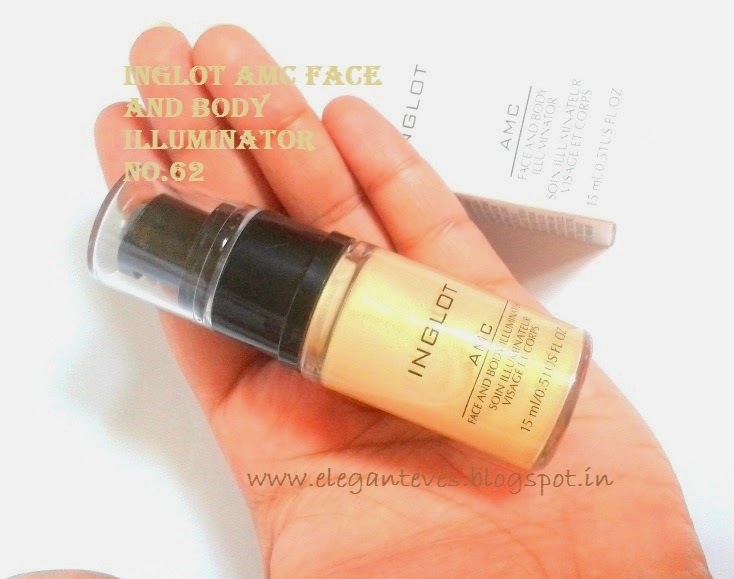 62 is the most apt for Indian skin tones because it is a true golden highlighter/illuminator . 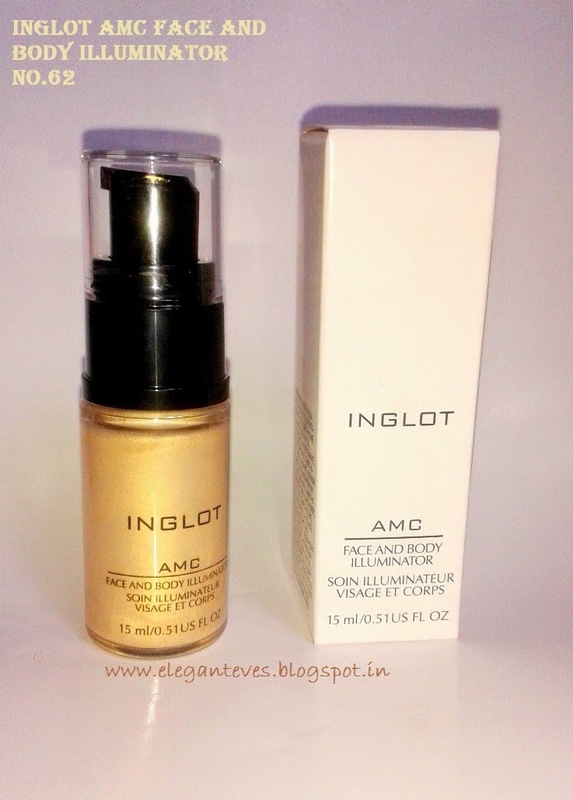 The gold is pale champagne gold and even though it is yellow toned, it is not “gaudy” gold (You know what I mean!) 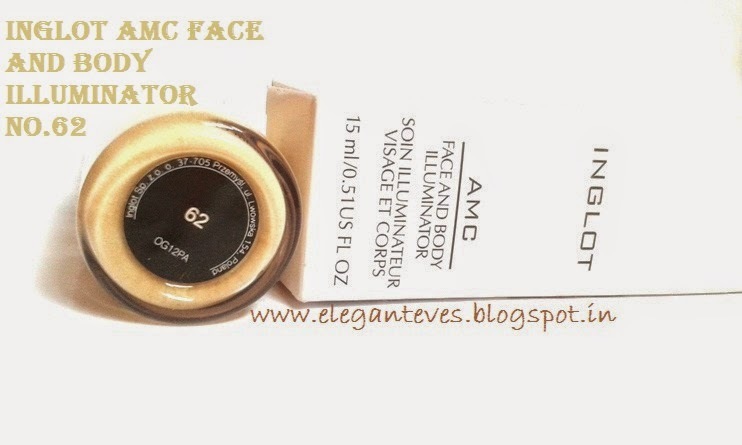 This shade will work perfectly with every skin tone. 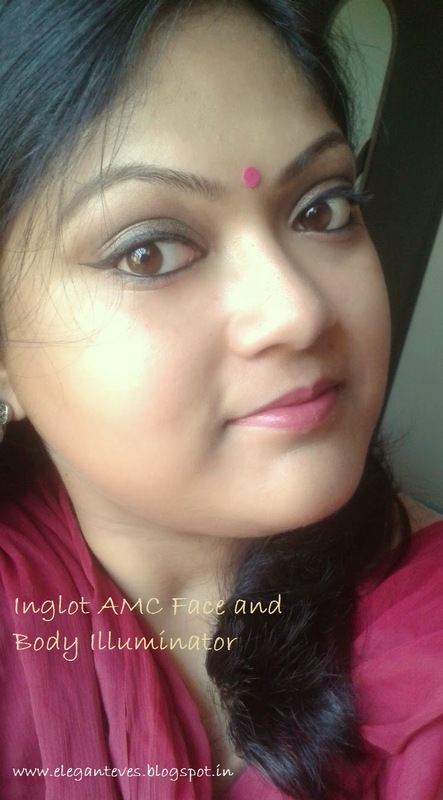 Quantity-wise a teeny-tiny amount is needed to cover the highlighting points of the face (bridge of nose, higher cheekbones, center of the forehead, below brow-bone, on cupid’s bow of lips and the chin) You have to be really careful with the amount because pumping out more than a drop will cause wastage! 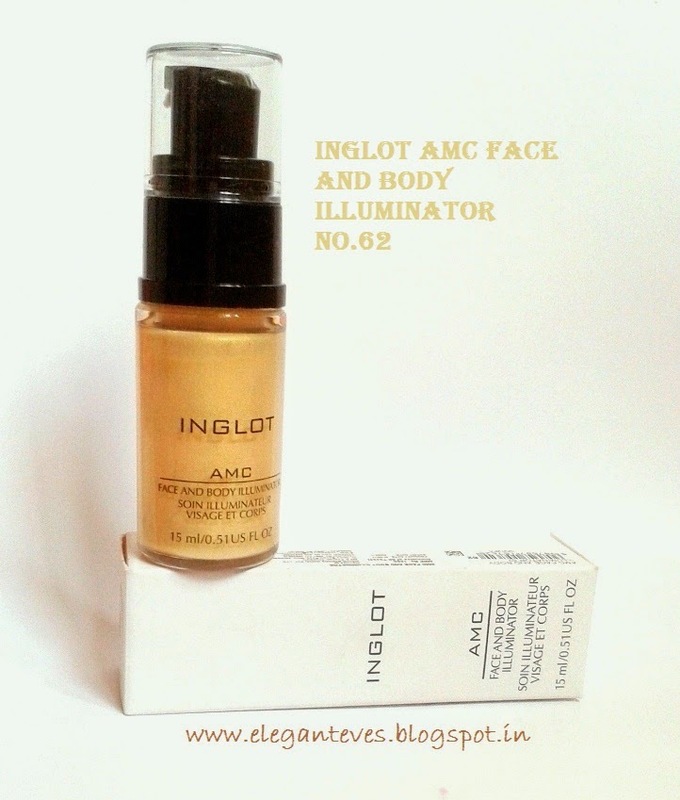 The yellow-gold tint of the highlighter makes my skin look fresh and does not make it ashy like silver highlighters do. 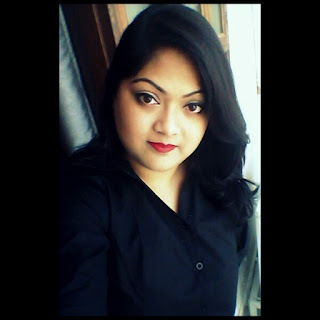 It stayed on very long even on my bare face without any base makeup- for 8 hours almost! I guess this would stay longer with primer and foundation underneath. Perfect for weddings ! 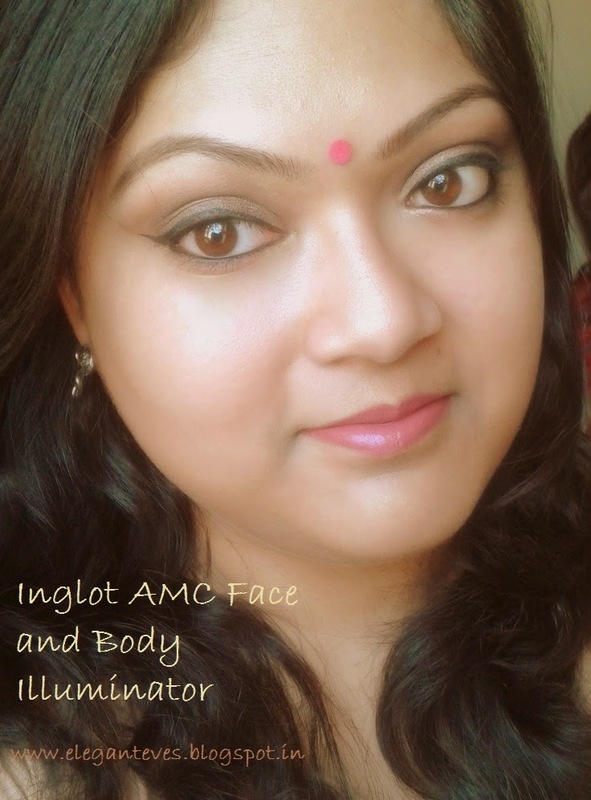 Elegant Eves Recommendation: Inglot AMC Face and Body Illuminator is a perfect liquid gold highlighter which can be used both for parties and for daily usage (mixed with moisturizer). Highly recommended!